PALM BAY, Florida -- Palm Bay Police spokesperson Yvonne Martinez said in an email this morning that a suspect wanted in connection with a bank robbery was arrested just before midnight last night. A patrol officer received information from an anonymous caller who provided a name of the individual that was believed to have committed the crime. Police say that further investigation resulted in a positive identification of the suspect as being 26-year-old Thomas John Ingram. An arrest warrant was obtained and he was arrested in Palm Beach County with the assistance of the Game Over task force. 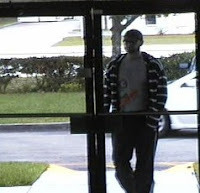 At approximately 10:15 a.m. on Saturday, a man entered the TD Bank located at 4625 Babcock Street in Palm Bay, Florida. 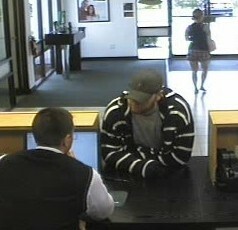 The man approached the teller, implied he had a weapon and demanded money. 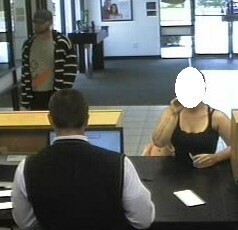 The teller complied and the suspect fled on foot west across Babcock Street. The suspect was described as a white male approximately 6’2” medium build, wearing dark colored pants with double white stripes down the legs, a gray t-shirt and a dark colored zip-up hoodie with white horizontal stripes. 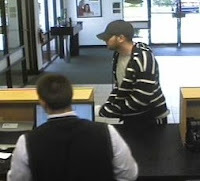 The suspect was also wearing a dark colored ball cap. Police say that no one was injured during the robbery.